Background/aim: Spinocerebellar ataxias (SCAs) are complex clinical and genetically heterogeneous, mostly autosomal dominant neurodegenerative diseases. At present, more than 30 hereditary SCA types have been associated with different gene mutations. In this study, the frequency distribution of the 6 SCA types 1, 2, 3, 6, 7, and 17 in the Turkish population was investigated with respect to clinical features. Materials and methods: 159 patients who received a diagnosis of SCA and 42 healthy controls from Adana, Mersin, Gaziantep, Hatay, and Osmaniye provinces were included in the study. DNA samples were isolated from 2 mL blood samples and the number of trinucleotide repeats (TNRs) for each SCA type was detected using PCR-RFLP technique and sequencing. Results: Of the 6 SCA types that were studied, 4 types, SCA 1, 3, 7, and 17, were positive and all heterozygous for expansions. SCA types 1 and 17 had higher frequencies, 4.4% and 3.8%, respectively, than SCA types 3 and 7. The clinical data of patients were also evaluated to correlate with the increased TNR numbers. Conclusion: This study, being the first mutation record of SCAs in this area, indicated that 9.4% of cases belonged to 4 types, SCA 1, 3, 7, and 17. Harding AE. The clinical features and classification of the late onset autosomal dominant cerebellar ataxias. A study of 11 families, including descendants of the ‘the Drew family of Walworth’. Brain 1982; 105: 1–28. Harding AE. Clinical features and classification of inherited ataxias. Adv Neurol 1993; 61: 1–14. 3. Garden GA, La Spada AR. Molecular pathogenesis and cellular pathology of spinocerebellar ataxia type 7 neurodegeneration. Cerebellum 2008; 7: 138–149. Yakura H WA, Fujimoto S, Itakura K. Hereditary ataxia and HL-A genotypes. N Engl J Med 1974; 291: 154–155. Teive HA, Munhoz RP, Arruda WO, Raskin S, Werneck LC, Ashizawa T. Spinocerebellar ataxia type 10 - a review. Parkinsonism Relat Disord 2011; 17: 655–661. 6. Teive HAG. Spinocerebellar ataxias. Arq Neuropsiquiatr 2009; 67: 1133–1142. Dorschner MO, Barden D, Stephens K. Diagnosis of five spinocerebellar ataxia disorders by multiplex amplification and capillary electrophoresis. J Mol Diagn 2002; 4: 108–113. Klockgether T, Paulson H. Milestones in ataxia. Mov Disord 2011; 26: 1134–1141. Pulst S-M. Genetics of Movement Disorders. San Diego, CA, USA: Academic Press; 2003. Yilmaz MB, Koc AF, Kasap H, Guzel AI, Sarica Y, Suleymanova D. GAA repeat polymorphism in Turkish Friedreich’s ataxia patients. Int J Neurosci 2006; 116: 565–574. Miller SA, Dykes DD, Polesky HF. A simple salting out procedure for extracting DNA from human nucleated cells. Nucleic Acids Res 1988; 16: 1215. Mullis K, Faloona F, Scharf S, Saiki R, Horn G, Erlich H. Specific enzymatic amplification of DNA in vitro: the polymerase chain reaction. Cold Spring Harb Symp Quant Biol, 1986; 51 Pt 1: 263–273. Pulst SM, Santos N, Wang D, Yang H, Huynh D, Velazquez L, Figueroa KP. Spinocerebellar ataxia type 2: polyQ repeat variation in the CACNA1A calcium channel modifies age of onset. Brain 2005; 128: 2297–2303. Yuan Y, Zhou X, Ding F, Liu Y, Tu J. Molecular genetic analysis of a new form of spinocerebellar ataxia in a Chinese Han family. Neurosci Lett 2010; 479: 321–326. Raghava GP. Improved estimation of DNA fragment length from gel electrophoresis data using a graphical method. Biotechniques 1994; 17: 100–104. Abe T, Tsuda T, Yoshida M, Wada Y, Kano T, Itoyama Y, Tamai M. Macular degeneration associated with aberrant expansion of trinucleotide repeat of the SCA7 gene in 2 Japanese families. Arch Ophthalmol 2000; 118: 1415–1421. Han Y, Yu L, Zheng HM, Guan YT. Clinical and genetic study of spinocerebellar ataxia type 7 in East Asian population. Chin Med J 2010; 123: 2274–2278. Rolfs A, Koeppen AH, Bauer I, Bauer P, Buhlmann S, Topka H, Schols L, Riess O. Clinical features and neuropathology of autosomal dominant spinocerebellar ataxia (SCA17). Ann Neurol 2003; 54: 367–375. Mariotti C, Alpini D, Fancellu R, Soliveri P, Grisoli M, Ravaglia S, Lovati C, Fetoni V, Giaccone G, Castucci A et al. Spinocerebellar ataxia type 17 (SCA17): oculomotor phenotype and clinical characterization of 15 Italian patients. J Neurol 2007; 254: 1538–1546. Alberts B. Molecular Biology of the Cell. 5th ed. New York, NY, USA: Garland Science; 2008. Slattery JP, Murphy WJ, O’Brien S. Patterns of diversity among SINE elements isolated from three Y-chromosome genes in carnivores. Mol Biol Evol 2000; 17: 825–829. McMurray CT. Hijacking of the mismatch repair system to cause CAG expansion and cell death in neurodegenerative disease. DNA Repair 2008; 7: 1121–1134. La Spada AR, Taylor JP. Repeat expansion disease: progress and puzzles in disease pathogenesis. Nat Rev Genet 2010; 11: 247–258. Gatchel JR, Zoghbi HY. Diseases of unstable repeat expansion: mechanisms and common principles. Nat Rev Genet 2005; 6: 743–755. Williams AJ, Paulson HL. Polyglutamine neurodegeneration: protein misfolding revisited. Trends Neurosci 2008; 31: 521– 528. Soong BW, Paulson HL. Spinocerebellar ataxias: an update. Curr Opin Neurol 2007; 20: 438–446. Durr A, Brice A. Clinical and genetic aspects of spinocerebellar degeneration. Curr Opin Neurol 2000; 13: 407–413. Benomar A, Krols L, Stevanin G, Cancel G, LeGuern E, David G, Ouhabi H, Martin JJ, Durr A, Zaim A et al. The gene for autosomal dominant cerebellar ataxia with pigmentary macular dystrophy maps to chromosome 3p12-p21.1. Nat Genet 1995; 10: 84–88. Benomar A, Le Guern E, Durr A, Ouhabi H, Stevanin G, Yahyaoui M, Chkili T, Agid Y, Brice A. Autosomal-dominant cerebellar ataxia with retinal degeneration (ADCA type II) is genetically different from ADCA type I. Ann Neurol 1994; 35: 439–444. David G, Giunti P, Abbas N, Coullin P, Stevanin G, Horta W, Gemmill R, Weissenbach J, Wood N, Cunha S et al. The gene for autosomal dominant cerebellar ataxia type II is located in a 5-cM region in 3p12-p13: genetic and physical mapping of the SCA7 locus. Am J Hum Genet 1996; 59: 1328–1336. David G, Durr A, Stevanin G, Cancel G, Abbas N, Benomar A, Belal S, Lebre AS, Abada-Bendib M, Grid D et al. Molecular and clinical correlations in autosomal dominant cerebellar ataxia with progressive macular dystrophy (SCA7). Hum Mol Genet 1998; 7: 165–170. ISNAD PAZARCI, PERÇİN , KASAP, HALİL , KOÇ, AYŞE FİLİZ , ALTUNBAŞAK, ŞAKİR , ERKOÇ, MEHMET ALİ . "Mutation analysis of 6 spinocerebellar ataxia (SCA) types in patients from southern Turkey". 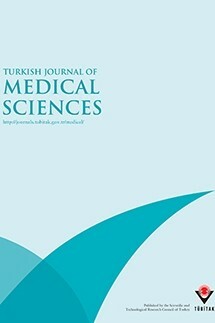 Turkish Journal of Medical Sciences 45 / 6 (December 2015): 1228-1233.